I was so tempted by that piece. I almost took the plunge. Glad it went to a good home. Here is a Franken-dagger. An amalgam of two MRL pieces. 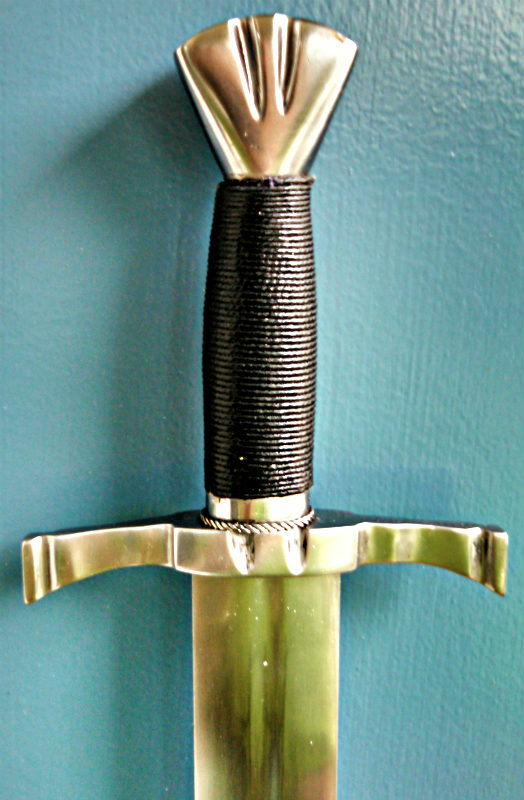 The modified crosshilt and pommel from a sword hilted dagger, and the blade of a poignard. The blade has been shortened to 13.75" to remove the ricasso. It measures 19.5" over-all. The pommel was reduced in size (1.5" diam) and thickness. And the crosshilt shortened to 3" across. Yes, thank you, I will take good care of it - And hopefully some better photographs sometime! I'm afraid I can resist anything... but temptation. And in addition to that, I have no sense of self-preservation, so I -had- to take the plunge! 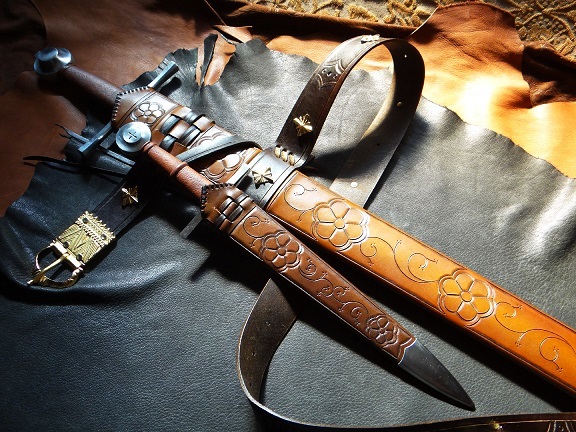 However, James did mention that he's planning to do just one more, an exact repro (Even done in proper wrought iron for the hilt guard) of the one in the Met, and then he'll be done with that style of dagger, at least for another 5 or so years. Lovely pieces - Proper quillons always look so... elegant. 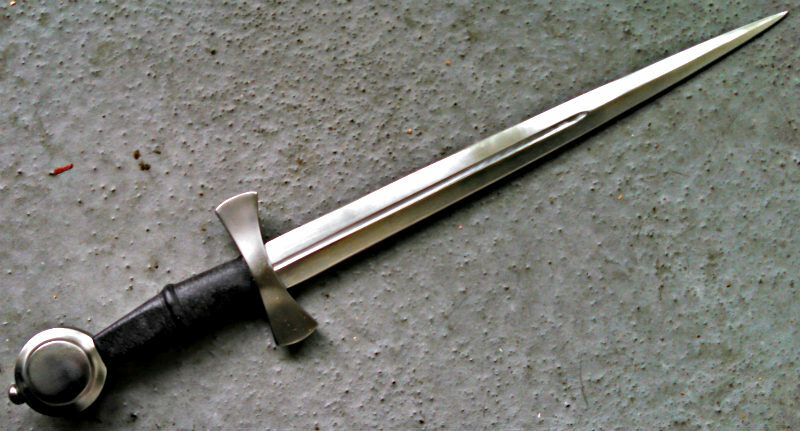 I have only one quillon dagger, from Albion. 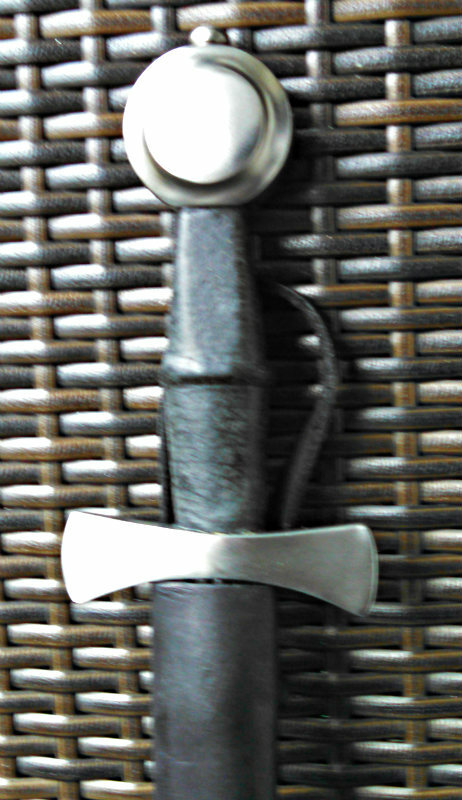 Here is a matching scabbard/sheath from DBK for my Albion Knight sword and Arn dagger. 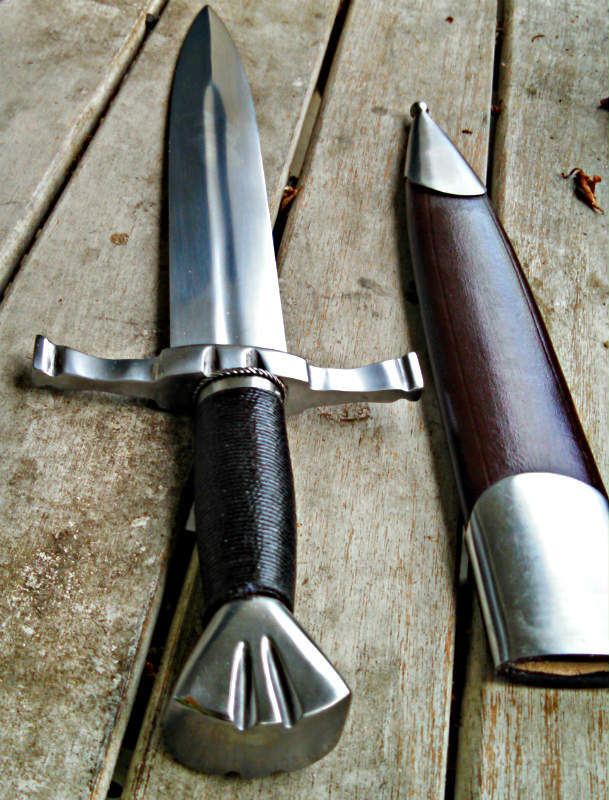 Here is the Windlass Soldier's Dagger. It has been around since 2006, which is a long life for one of their products. It is a good piece for its price, especially the one I paid for it as a Deal of the Day item. 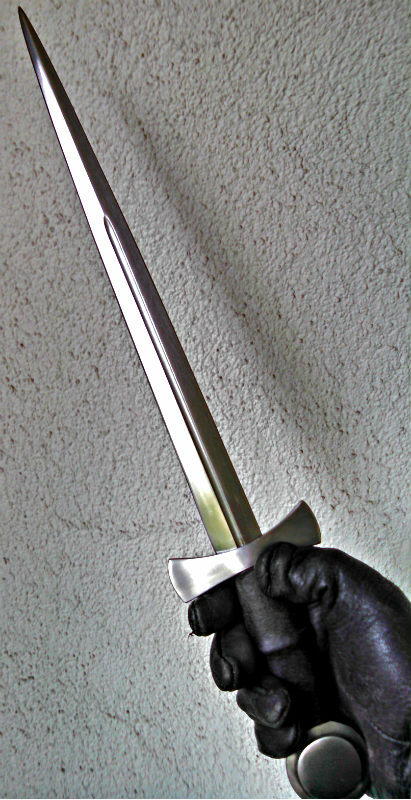 It seems pretty sturdy and solid, though, like many of Windlass's daggers, it has a screw-on pommel. It will be good for my purpose, which will be as a stage prop. the leather scabbard is adequate. I don't know why they chose brown instead of matching the black grip, but it's no big deal. The blade is 9.75 inches long and 1.375 wide at the guard. I have posted this elsewhere, but here it is again - a very attractive 14th Century dagger from Arms and Armor, which looks like a number of items on this thread, especially the one by Peter Johnsson.